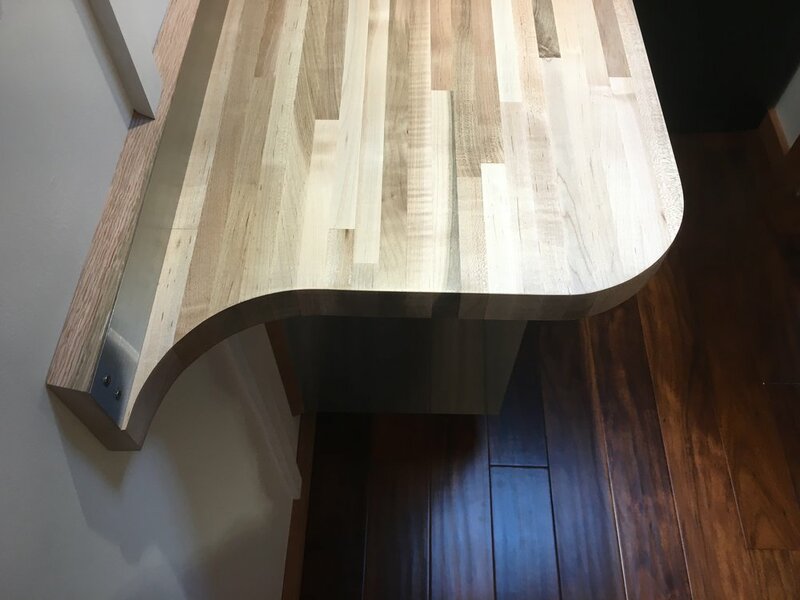 The Whirly House features an optional off-grid water system, drop-down stage, custom finishing, a fully functional kitchen with butcher block vountertops, a space saving sink, 2-burner propane cooktop, and a propane/electric mini fridge. The convertible bed on wheels functions as a couch when tucked away and a bed when pulled out. The corrugated metal wet bath has removable cedar floor that reveals a shower pan below. 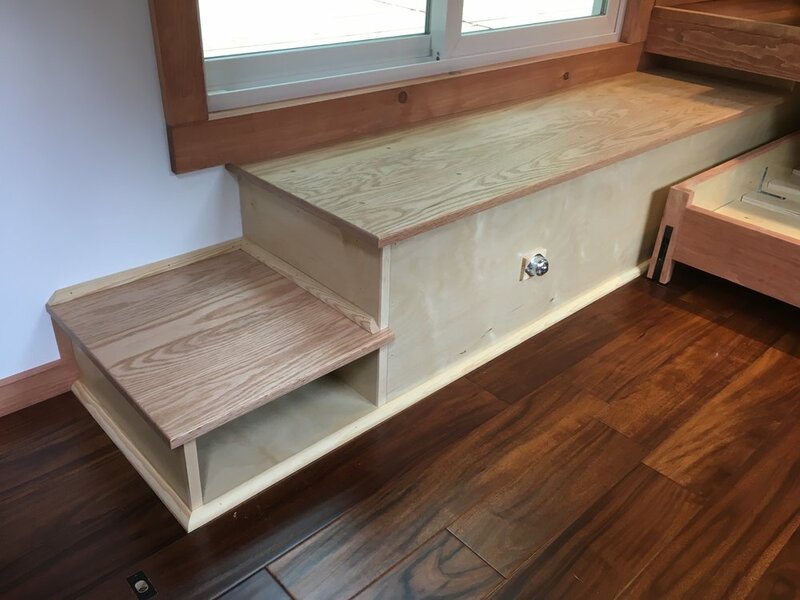 The Evergreen is a custom model that includes a built-in, expanding bench seat that hides an off-grid water system, a propane/electric 7.2 cu.ft. fridge with a custom cabinet, 34x34” fiberglass shower stall, Nature’s Head Composting Toilet, 4x2’ skylight, compact propane range, evergreen stained cedar clapboards with a brown corrugated metal roof, and a handmade wooden ladder. 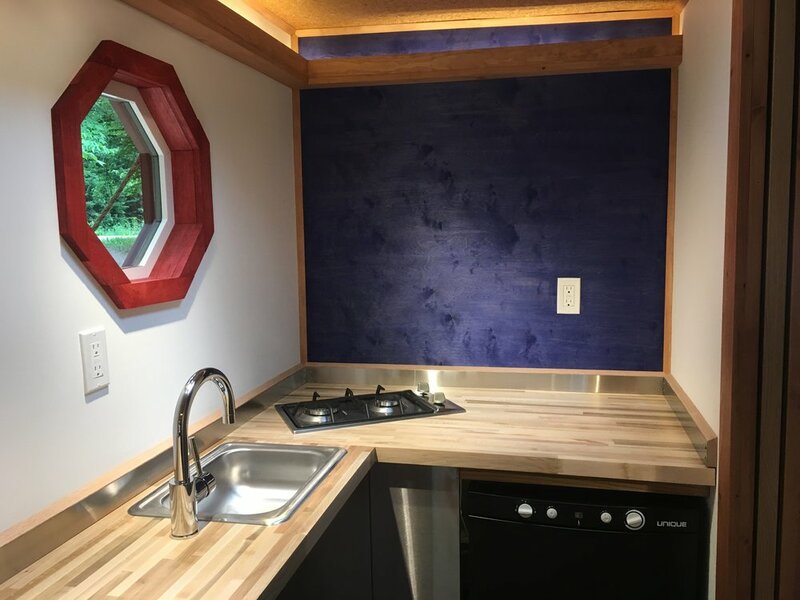 The 8x24’ Rodrigue is a completely custom tiny house that features a Nature’s Head Composting Toilet, a custom kitchen featuring an electric fridge and compact propane cooktop, a wall-mounted Williams propane eco-heater, under-stair cubby storage, an on-demand Takagai hot water heater, and a reclaimed dining room table. The walls are finished with 1/4" plywood and wainscoting for a traditional, "drywall-esque" look. 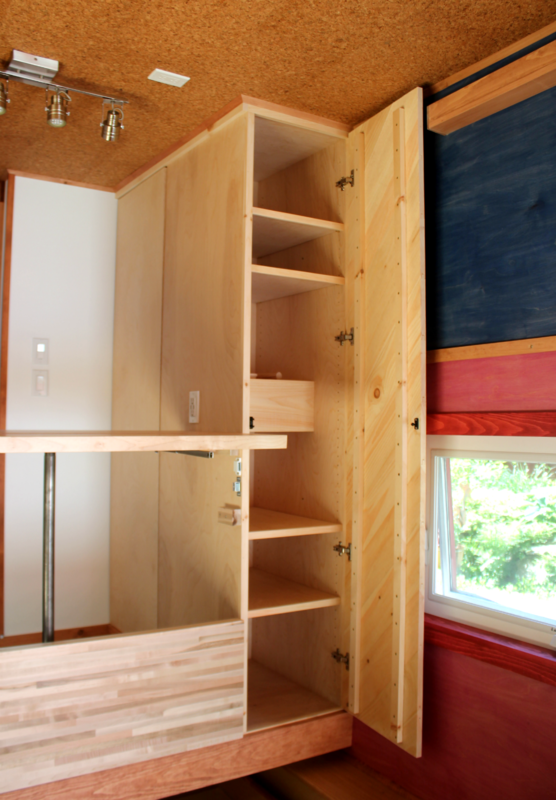 The Nova is an 8x26' tiny house shell with an innovative split-level sleeping loft instead a traditional loft. No more crouching! The split-level loft features enough space for a queen-sized bed and frame plus enough space to sit and stand without uncomfortable bending. 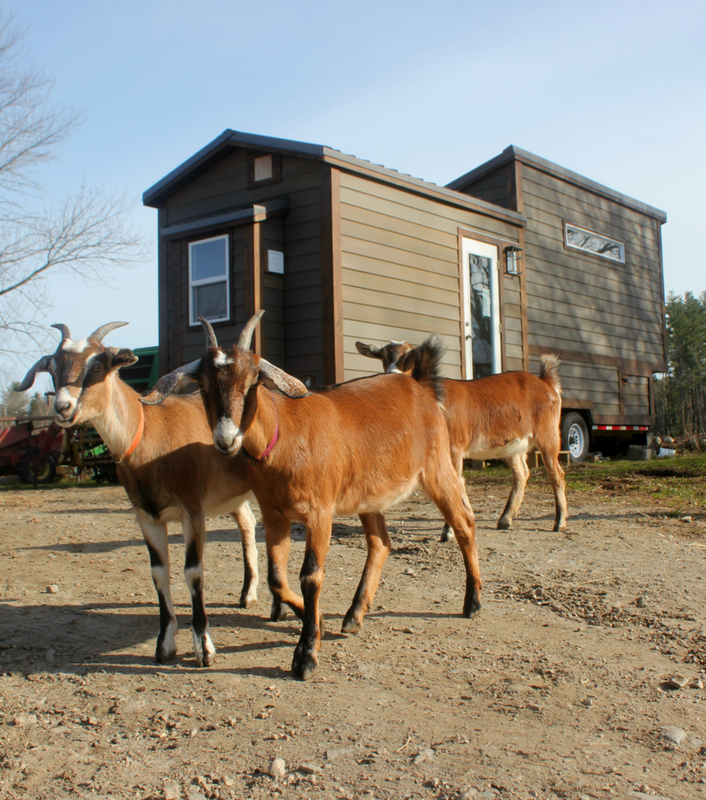 Four steps up make it a perfect compromise for older or long term tiny house dwellers. 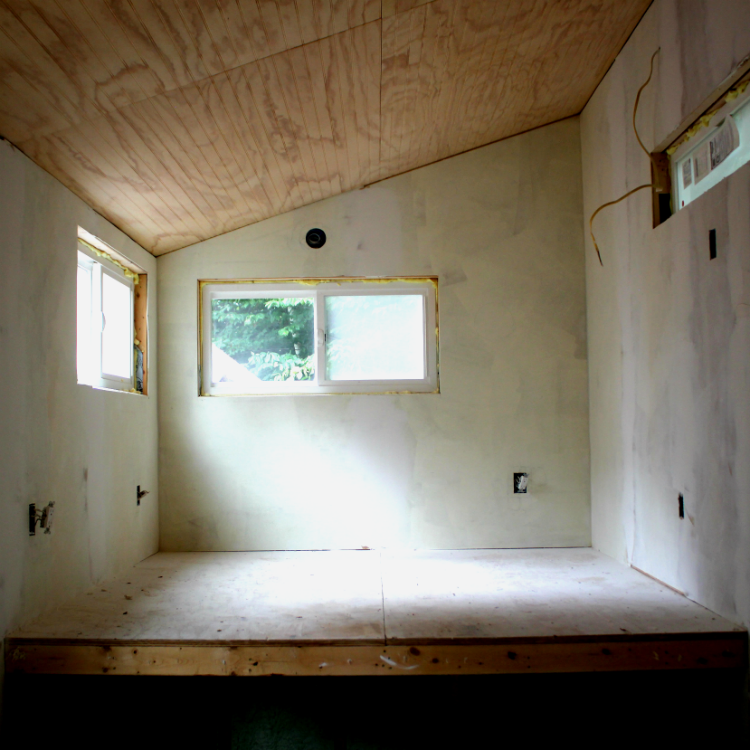 The Nova was fully insulated with most of the wall material up and completely finished on the exterior. The Nova was moved to western Vermont to be finished by a motivated DIY-er! Like what you see? Ready to design your own?